LOOOOOOOOVE IT!!!!! IN LOVE WITH THE CONDITIONER ESPECIALLY I LOVE THE LEAVE-IN AND I’M BRINGING THE MASQUE WITH ME TO UPSTATE SO I CAN GET EVEN SINNERIER HAIR!!!! HANDS DOWN, THE BEST LEAVE-IN CONDITIONER I’VE EVER USED! 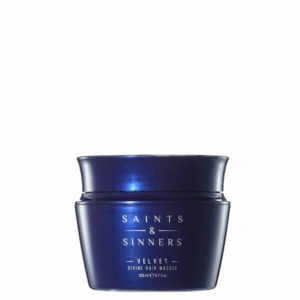 I HAVE BEEN USING THE SAINTS & SINNERS PRODUCTS FOR A LITTLE OVER A MONTH NOW. I AM SO PLEASED WITH HOW THE RESULTS TURNED OUT (FROM THE MASQUE AND THE LEAVE-IN CONDITIONER)! IT DOES AWESOME ON ALL TYPES OF HAIR AND SMELLS AMAZING! I CAN’T WAIT TO TRY THE OTHER PRODUCTS! YOU GUYS I AM OBSESSED WITH THIS LEAVE-IN CONDITIONER FROM SAINTS AND SINNERS! HAVING FINE HAIR, I CAN NEVER FIND A LEAVE IN PRODUCT THAT DOESN’T WEIGH MY HAIR DOWN, BUT THEIR CREAM-TO-MIST TECHNOLOGY ALLOWS ME TO ADJUST AS NEEDED WITH A FEATHER LIGHT SPRAY. MY HAIR IS SILKY SOFT AND NOT AT ALL OILY. I HAVEN’T BEEN ABLE TO STOP TOUCHING MY HAIR ALL DAY! MY DAUGHTER IS OBSESSED WITH THE LEAVE IN CONDITIONER! I LOVE THE STYLING GEL. GREAT STUFF! THESE PRODUCTS ARE AMAZING! MY HAIR IS NOW SOFT, SHINY....AND SMELLS HEAVENLY! THE LEAVE-IN CONDITIONER DETANGLES AND SMOOTHS, WHILE THE TEXTURE SPRAY PROVIDES PERFECT BODY AND CONTROL WITHOUT BEING STICKY. THEY TRULY ARE DEVINE! THANK YOU!!! IT'S THE BEST LINE I HAVE EVER TRIED! MY FAVORITES ARE THE LEAVE-IN CONDITIONER & THE TEXTURE SPRAY! A MUST TRY! ABSOLUTELY THE BEST LEAVE IN CONDITIONER I'VE EVER USED! 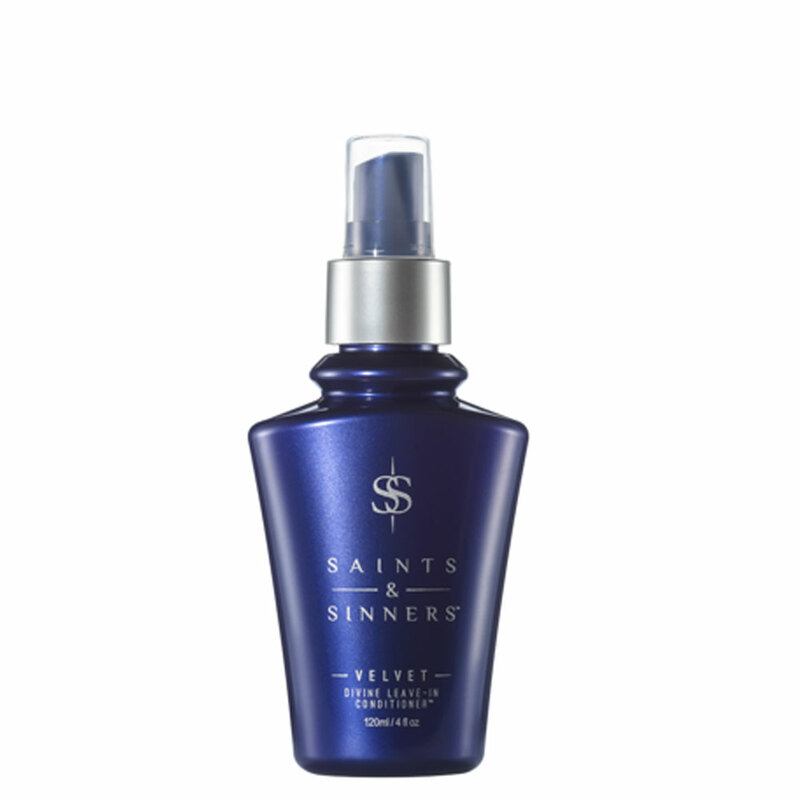 SAINTS & SINNERS IS NOW MY FAVORITY NEW BRAND THIS REALLY IS AN AMAZING PRODUCT! I TOTALLY RECOMMEND VELVET DIVINE LEAVE IN CONDITIONER ITS THE BOOM, AND SMELLS SO GOOD TOO! I CAN'T WAIT TO TRY MORE OF THIS LINE LOVE IT! BEST PRODUCTS I HAVE EVER TRIED!!! Best thing I ever did for my clients was investment in Saints and Sinners! We got the velvet leave-in conditioner for school mornings for my little one. This girl has a mess of hair and omg it's so tame and beautiful. That's the only product I've ever had the chance to try but this is a "leave on the counter" product. Fantastic job on that one! I have thick, curly, frizzy hair and SS is the only products I have ever found that tame my mane, while not making my hair oily. My clients love how it makes their hair feel and smell! @realsaintsandsinners has THE BEST detangling spray-I use it after every wash.
One of my clients called me and asked what I used in their hair…it is that amazing! Now I never let them leave without having them feel their hair and now it’s flying off the shelves! !